A Ruth Ozeki inspired adaptation of the famous wave. Lately I’ve been reading mostly Asian-inspired and Asian-authored literature. In fact, it’s all I’ve been reading. I’ve been tempted by the superb posts on Japanese lit at Dolce Belleza lately, and I’m glad that I’ve finally followed suit. I find such literature helps me feel relaxed and mindful, perhaps due to the frequent minimalism and simplicity of the writing. Due to my rather chaotic schedule lately, this fits me and my feelings exactly. The Gift of Rain by Tan Twan Eng was the ideal text for me to read last month. I’ve previously read The Garden of Evening Mists by Tan Twan Eng, in which I greatly admired the parallel created between strength and poetry. I remember reading that the author wants each book to be better than his one before, although I must say that I prefer his first book, The Gift of Rain. It’s a fascinating tale of friendship and betrayal during World War II, in which the incredibly complex mixed-race protagonist, Philip Hutton, is left to make some unenviable choices. Philip must choose between his family and friends, but also between his dual nationality and that of the enemy. I next turned to A Tale for the Time Being by Ruth Ozeki. I’d been contemplating the novel for weeks at the bookshop I work at, lured in by its victory in the Independent Booksellers Award and the Anglo-Japanese plot. The novel started of a little slowly, with the teenage voice of the protagonist Nao hard not to find irritating. However, the rest of the novel soon forced me to consider other things. The storyline across the Pacific, for one, was so well-written. 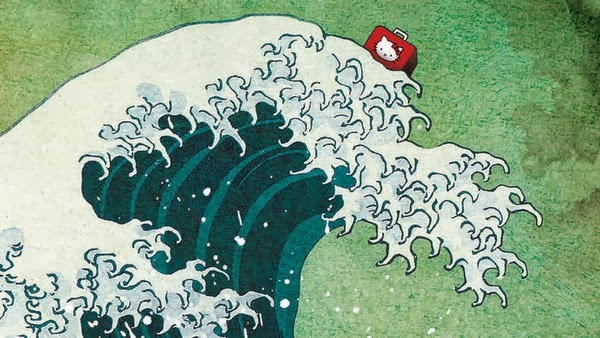 Ruth, a novelist living simply on a remote island, discovers a collection of artefacts washed ashore in a Hello Kitty lunchbox—possibly debris from the devastating 2011 tsunami. As the mystery of its contents unfolds, Ruth is pulled into the past, into Nao’s drama and her unknown fate, and forward into her own future. It’s a brilliant concept for a novel, and the book is perhaps my favourite of 2013 this far. Hard-Boiled Wonderland and the End of the World by Haruki Murakami is one of the books I’m reading currently. I started it thinking I was in the mood for reading Murakami, but now I’m not so sure. I love his books, especially Kafka on the Shore, but I have to be in a very particular mood to enjoy them. If I’m feeling a bit tense, Murakami’s writing can really unnerve me, so I won’t make myself rush through Hard-Boiled Wonderland. In fact, I’m going to read it at the same time as War and Peace. “Again? !” you may be thinking. I’ve decided to reread the almighty tome every August, so yes, it’s that time again. I look forward to posting some new thoughts and reflections throughout this month. An eminent British writer returns to the resort hotel in the Japanese mountains where he once spent a beautiful, snowed-in winter. It was there he fell in love and wrote his best-selling novel, The Waterwheel, accusing America of being in denial about the horrific aftermath of the Tokyo firebombings and the nuclear destruction at Hiroshima and Nagasaki. As we learn more about his earlier life, however – as a student in Bloomsbury, involved with a famous American painter – we realise that he too is in denial, trying to escape past events that are now rapidly catching up with him. 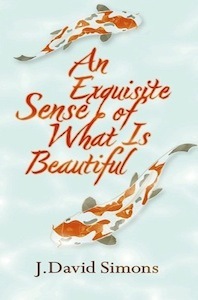 A sweeping novel of East and West, love and war, truths and denials. Do you enjoy reading Asian literature? If so, do you think there is a reason for this, or do you find it helps your anxiety? Also, do you have any favourite authors or texts? I've read some but would by no means call myself an "expert" on Asian literature. I like it because their culture is quite different to my own and also I guess I feel closer or more interested in it than other international literature. Other than Murakami of course, I really like Amitav Ghosh, an Indian writer (although writes in English). He always seems to give you a rather interesting lesson in history and you come away feeling like you know something new. I'm not saying he teaches you a lot or you feel as if you've had a history lesson, but he has an element of being a teacher in there. Last year I read The Guest by Hwang Sok Yong (I think is his name… er) a Korean author. About North Korea and it's very interesting. it got me interested in learning more about Korea, which i haven't got that far into but I did read One Thousand Chestnut Trees by I forget the author. I always love reading about Asian culture. It fascinates me 🙂 I really enjoyed A Tale for the Time Being, I'm glad you did as well. need to read more. Your above recommendations look to be a really good place to start. A Tale for the tome being looks like something that I might really like. Asian literature is constructed on different aesthetic ideas than Western literature. So I find it a useful challenge or corrective or anyway a source of new ideas to spend some time with Japanese or Chinese or Sanskrit literature. Mostly I have read classical literature, and thus mostly poetry. And come to think of it, mostly Japanese. I have a "Japan" tag at Wuthering Expectations that covers my Japanese reading, however scattershot. For Chinese and Japanese poetry, I recommend starting anywhere. Basically anywhere. With one of the anthologies Kenneth Rexroth translated, or with one of the many translations of David Hinton, or something by the haiku master Basho. You want to relieve anxiety, try Basho. I haven't read much Asian literature, but I'd like to take a look at some of these novels. I remember reading Murakami's Kafka on the Shore. It was quite unique and fascinating. I definitely enjoyed it (especially since I really dig surreal stuff), except for one horrific scene involving cats. I did remember that you enjoyed Asian literature while writing this post! I agree that it's quite refreshing to read about a different culture to our own. Ghosh sounds like a really interesting writer – thank you for the recommendation! I like learning things through fiction too, it relaxes me while adding a lot of depth to the characters involved. I've never read much about Korea, but I'd like to. Tan Twan Eng's writing focuses a great deal on Malaysia, and I've come to be really interested in the geographical location itself. So much about it is revealed through the authors writing itself. Korea is so rich in political history too, which I guess must come through in The Guest and One Thousand Chestnut Trees. Thank you for continually recommending such great novels! I'll be sure to let you know how I get on with Murakami's Hard-Boiled Wonderland once I properly get into it. Thanks for your comment 🙂 I definitely think that the difference in aesthetic ideas is a reason why I enjoy Asian literature so much. The thinking often seems fresher and the writing much more coherent than Western literature. I tend to mostly read Japanese literature too, although this post has got me thinking about wider Asian texts that I'd enjoy. I'll be sure to visit your blog for Japanese recommendations, however! Thank you for reminding me about Chinese and Japanese poetry. I love translations of Basho, and I'd definitely agree that his haikus are great for reducing anxiety. I must search for a good haiku collection when I'm next in a bookshop! Murakami tends to really disturb me… it's good to hear that you find his writing challenging too, as I always tend to think you're a lot more sturdy than me in regards to distressing novels and films! The Wind-Up Bird Chronicle managed to really unnerve me, although I have to say that Murakami must be a very skilled writer to cause that effect in readers. Your comment on my being "more sturdy" made me smile. 🙂 I have to say my husband and daughter have toughened me up with the movies they've introduced me to. Ha ha! I do think Murakami is a tremendous writer. Oh, Lucy, I love this post! You have captured so much of what is essential to me as well, in reading the Japanese authors. Love this phrase: "due to the frequent minimalism and simplicity of the writing." And no, one can't exactly hurry through Murakami. I didi that with 1Q84, and it was a most disappointing experience. Better to take him slowly, and ponder the meaning of his passages. I haven't yet read Hard Boiled, and I will. I just don't want to finish all he's written, somehow, as it's so good to know there's always one more of his books out there for me to discover. I love how you reread what is meaningful to you. I'm so tempted to read War and Peace again with you. I wish school wasn't starting in August, which always requires so much of my time. Do you think you will take time with War and Peace, or finish it in August? I'd love to reread it with you, even if I get a late start. I'm sure your husband and daughter have introduced you to some great films though! I'm glad you liked it! I always enjoy reading what you have to say about Japanese literature over on your blog. I definitely agree that you need to read Murakami slowly… "ponder" is certainly the right word to use! I took some time reading 1Q84 and remember thinking a lot about the meaning behind the text. Perhaps that's why I enjoyed reading it more than others I've spoken to! I also love that I'm yet to finish all of Murakami's work. I adore his writing, but I don't want it to run out. There's something about reading one of his books for the first time that is really unique and special to me. Love reading Asian authors and always on the lookout for recommendations. The Gift of Rain was excellent, I haven't read The Garden of Evening Mists yet, but will do. 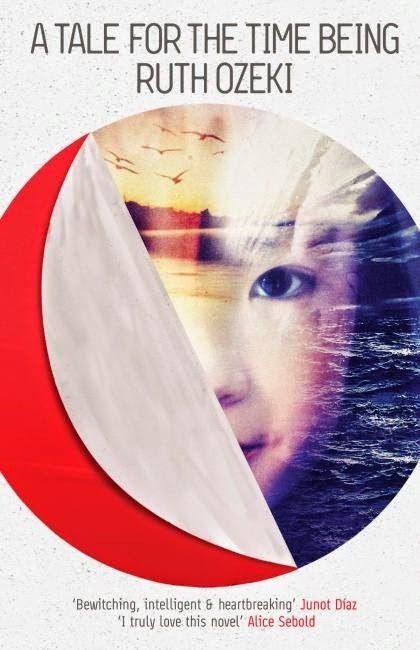 Love Yoko Ogawa's short stories and novellas, Murakami has an incredible imagination and reading his works always makes me have strange, vivid colourful dreams! The Vietnamese writer Dương Thu Hương's Paradise of the Blind is a favourite too. Hi Claire, thanks for the comment. I'm so glad you enjoyed The Gift of Rain too! Have you read The Garden of Evening Mists yet? I can't wait for Tan Twan Eng to write another novel. I'll definitely be checking out Paradise of the Blind – it sounds like a great recommendation! Discovered your blog through Bellezza's and am loving all your posts. Reading this post I just realized we seem to have chosen almost the exact same books for the Japanese lit reading challenge. I too read The Garden of Evening Mists, Hard-Boiled Wonderland, and A Tale for the Time Being. I enjoyed all of them, but I think I have a soft corner for Hard-Boiled Wonderland – so weird and then there were all the unicorns! Thank you so much, Nishita! I'm so glad you've found my blog and that you enjoy reading my posts. I absolutely adore all the novels you mentioned, and I must read them again. I really can't wait for Tan Twan Eng to write another novel (I hope he does! )… there's something so brilliant about his style of writing and the characters he creates.